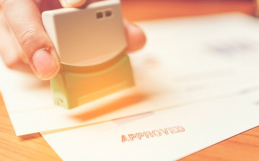 One of the upsides of owning a home is that it’s yours and no one else’s. One of the downsides is that… well, exactly the same thing. All the responsibility of upkeep and repairs falls to you rather than your parents or a landlord. Accordingly, one of your prime areas of concern is going to be your roof. It’s one of the largest parts of a home’s structure and one of the most prone to eventually needing some attention. But what if you don’t know your flashing from your felt? What all goes into roofing and how many parts of a roof are there? Keep reading so when the time comes to consult with a roofer, you’ll have some basic familiarity with roofing terms and the sort of things he’ll be talking about. Asphalt – A mixture of bitumens applied to roofing materials during manufacturing. Its primary purpose is as a waterproofing agent. Asphalt shingle – One of the most popular roofing products in North America due to the favorable price point and ease of installation. 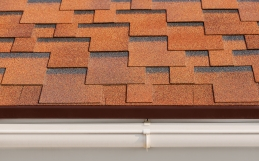 These shingles are manufactured with two types of base materials: fiberglass or organic materials, such as paper. Bitumen – A mixture of dark hydrocarbons that are a cement-like substance found in tar, asphalt, etc. Blistering – This usually occurs on roofing materials or ventilation due to moisture, giving the appearance of bubbles. British Thermal Unit (BTU) – The heat that is needed to raise the temperature of a pound of water one degree Fahrenheit. Buckling – The term used when shingles or their underlayments wrinkle or ripple. Channel flashing – A type of flashing used in steep-slope roof construction at roof-to-wall junctures and other roof-to-vertical plane intersections where an internal gutter is required to handle runoff. Counterflashing – Also referred to as cap flashing, it’s considered the first line of defense against water entering your home or commercial property. It is installed to prevent any water from getting behind the vertical flange of headwall or sidewall flashing. Cool Roof – An environmentally-friendly roof system designed to more effectively reflect sunlight and absorb less heat. This functionality allows homeowners to maintain lower temperatures and reduced home energy costs. Course – A row of singles or similar material that runs the length of the roof. Coverage – Refers to the layers and amount of protection from the elements provided by roofing materials. Crickets – Also called a saddle, a cricket is a ridge structure installed on the high side of a chimney or large projection to divert water. Deck – Also called sheathing or substrate, this is what makes up the base of the roof and is the foundation to which a number of roofing materials can be attached. It’s usually made of plywood or sterling board, also called oriented strand board, an artificial board made of compressed wood particles. Dormer – A vertical window that projects from a sloping roof. Downspout – A vertical pipe that carries runoff water from a gutter. 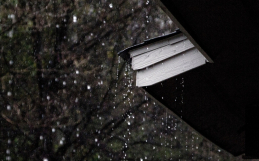 Drip edge – A lipped metal strip that runs along the edge of the roof and guides rainwater down the gutters and away from the eaves. Eaves – The edges of the roof that extend over the fascia (face of the wall). While they can add aesthetic appeal to the home, they serve a practical purpose of removing excess water. 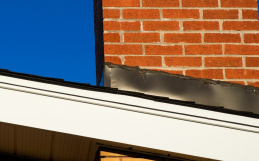 Eaves flashing – An additional layer of material that is applied at the eaves in order to assist in preventing damage from water backup. Fasteners – Any item that is used to secure roofing materials, such as screws, bolts, nails, etc. Felt – A fibrous material used to underlie a number of roofing products, including asphalt shingles. Also called tar paper, it makes up a second layer between the deck and whatever tiling is used. Fire rating – Roofing materials are assigned a fire rating based on their level of resistance to fire from an outside source. In order of strongest to weakest resistance, they are classified as A, B or C.
Flashing – Metal sheets that prevent water from leaking through cracks or intersections, such as spots where pipes, skylights or chimneys project from the roof. Gable – The triangular section of a wall formed by intersecting roof pitches. Granules – These are colored, crushed rocks that are coated in ceramic. They are often applied on asphalt shingles and other roofing materials. Ice dam – The buildup of ice on a roof that is formed where a warm surface transitions to a cold surface. It often occurs when melting ice refreezes at the overhang of a steep roof. Membrane – A flexible or semi-flexible roof covering that prevents the absorption of water. Nesting – A type of re-roofing in which new shingles are butted up to the bottom of the old shingles. Organic Shingles – Shingles made from organic paper products. Penetrations – Anything that goes through the roof, such as the vent pipes and chimneys. Pitch – A numerical measurement of how steep a roof is. Polyvinyl chloride (PVC) – This type of plastic is best known for its use in plumbing piping. More flexible forms of PVC are used to manufacture the roof membrane and sheeting. Rafter – Rafters are a series of internal beams that are attached to and support the roof deck. 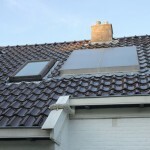 Retrofit – When an existing home or building is modified with new systems or components. Ridge shingles – The shingles that cover the top ridge of the roof where two angled sides meet. Roof pitch – The degree at which the roof’s slope inclines. Rafters – This refers to the area directly below and to which the deck is attached to the structure. Shading – A term used to describe the slight color and shade variations typically seen in asphalt shingles. Shingles – A shingle is a small roofing unit designed to be installed with similar units overlapping each other in rows or courses. Asphalt shingles are one of the more popular types of shingles. They are coated with a material such as paper felt or fiberglass mat, then reinforced with asphalt-based coating during the manufacturing process. Other types of shingles include wood, tile, metal, and slate. Slope – Also called roof pitch. The degree of the roof’s incline angle. Valley – Roof valleys are any area where two adjoining sloped roof planes intersect, creating a V-shaped depression. If you need any assistance – We’re happy to help!